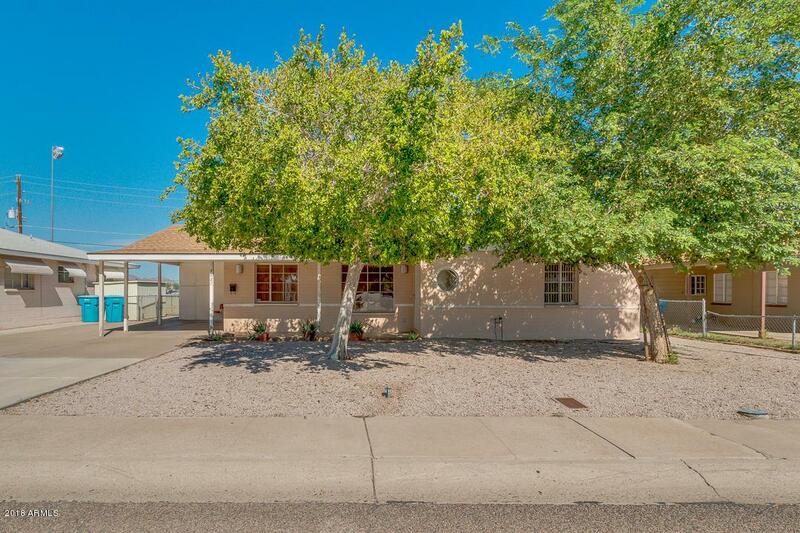 Hurry to see this fantastic move-in ready home located in Phoenix! 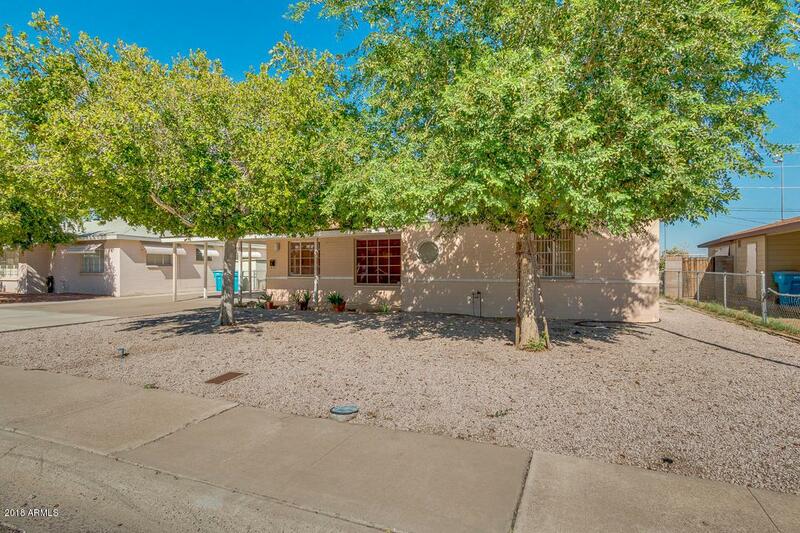 Featuring 1 carport space, 1 slab parking, and low maintenance front yard. 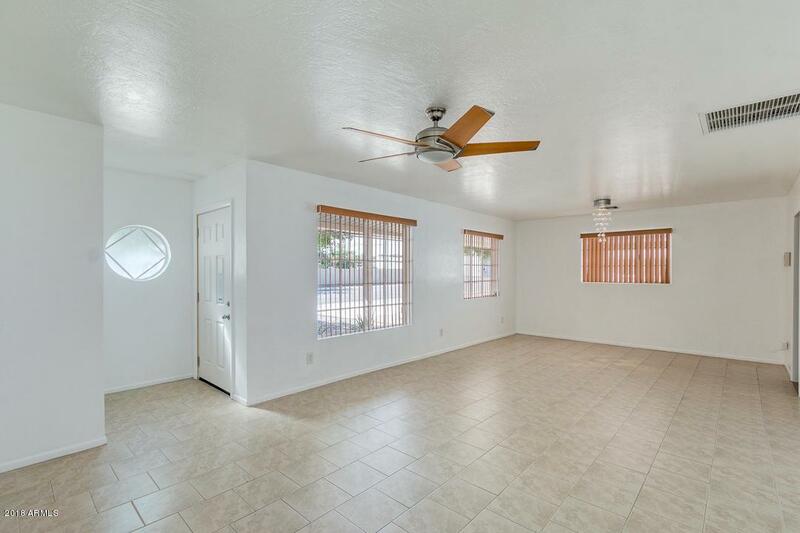 Step inside this open floor plan to find neutral paint through the entire house, open common areas, ceiling fans, and spacious laundry room. 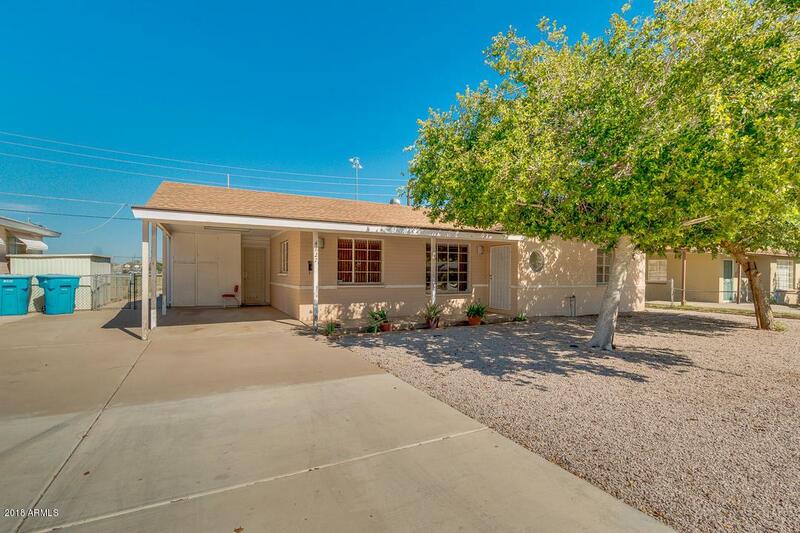 Perfect sized kitchen is comprised of pantry, stainless steel appliances, cabinet/counter space, tile backsplash, and breakfast room. Ample master bedroom includes his & her closet and lovely bath with track lighting in vanity. Covered patio and grassy area with a tree complements the beautiful backyard. What are you waiting for?